NYC Recession Diary: Manhattan Cocktail Classic: Vote for the lineup! Manhattan Cocktail Classic: Vote for the lineup! The Manhattan Cocktail Classic is back, and packing an even bigger punch. The upcoming five-day festival that explores anything and everything cocktail related returns to NYC from May 13-17 - you even get to VOTE for the line-up! Last year, Katharine, NYCRD Executive Editor, attended the conclusion of the preview weekend of the Manhattan Cocktail Classic, and was treated to a bevy of amazing cocktails and delectable food (read about it here). If that was just a preview, imagine what the actual festival was like! 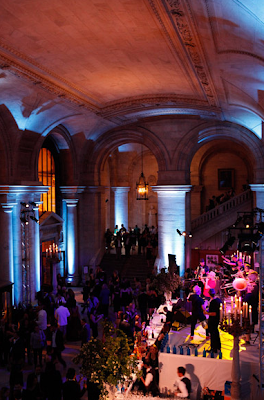 "Part festival, part fête, part conference, part cocktail party – the Manhattan Cocktail Classic is an annual celebration of the myriad points of intersection between cocktails and culture. With over one hundred events spread across five days and five boroughs, the Manhattan Cocktail Classic offers a vast array of unique experiences to enthusiasts and professionals alike, expanding the very definition of what constitutes a “cocktail event." The events consist of tastings, brunches, workshops, screenings and a slew of other happenings. But what makes this year's Classic different from the last is that now, you have the power to vote for the event line up. You get to choose what kind of seminars end up on the schedule, and there are over 80 seminars to vote from. Click here to vote!